Having made it’s way northwards from Maputo, through Malawi and Tanzania to Nairobi, the ONE MAN kann Journey Euro 5 MAN TGX 26.540 delivered its crew safely to stalwart MAN dealership, CMC Truck & Bus, in the Kenyan capital on 2nd October 2015. 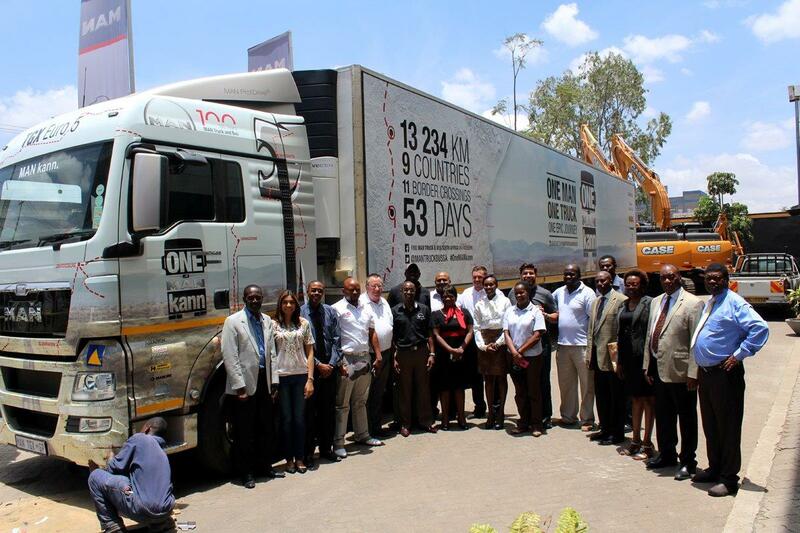 “The dealership visit by the ONE MAN kann team to CMC Truck & Bus was designed to showcase the attributes of the many technologies in the TGX; that while being extremely sophisticated, are totally viable in African longhaul applications,” explained Thomas Ferreira, Head of Export After-Sales, MAN Sub-Equatorial Africa. The MAN dealership, owned by CMC Motors Group LTD (an Al-Futtaim group company), hosted the ONE MAN kann event to give customers, suppliers and staff an opportunity to meet the drivers of the TGX, Riaan Manser and Nduna Chari, and to get inside the cab of MAN’s new African flagship and get a handson experience of the cuttingedge technology and superior cab comfort that has made the MAN TGX 26.540 a classleader in Europe. Addressing the guests, CMC Divisional Manager: Heavy Commercial Vehicles, David Kamau Wamathu, emphasised MAN’s ability to provide application-specific commercial transport solutions that consistently build customer enterprise efficiency. 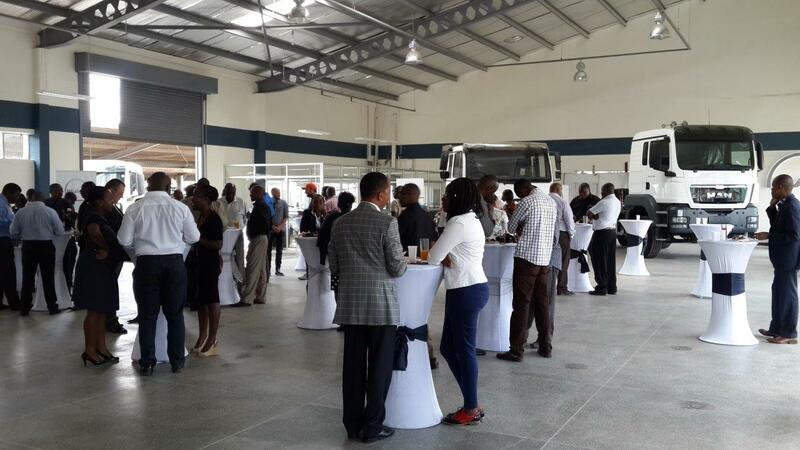 CMC Motors Group LTD is a shareholder in KVM (Kenya Vehicle Manufacturers), an MAN-approved assembly plant in Nairobi that produces MAN CLA trucks and buses and MAN HB buses from CKD (complete knock down) kits imported from India and Germany respectively. 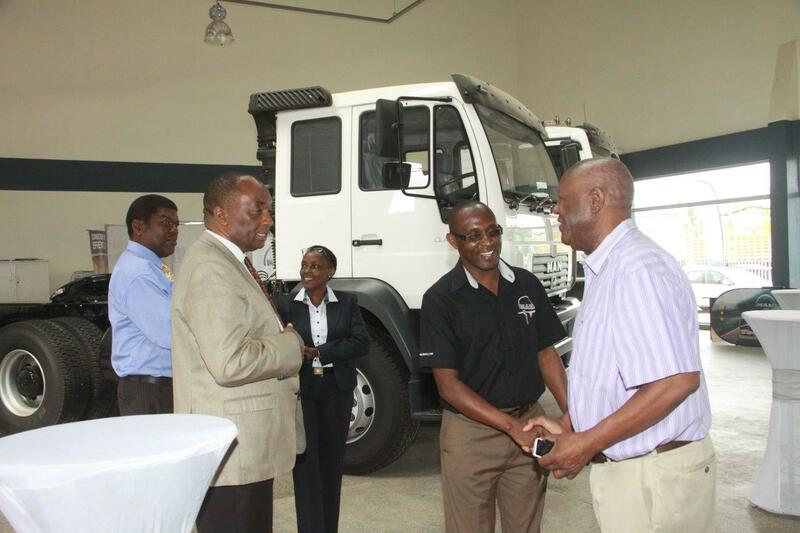 The MAN trucks sold in Kenya by CMC Motors Group LTD are imported from Germany in CBU (complete build up) form. With the ONE MAN kann film crew capturing the shocking road conditions leading Manser and Chari to Nairobi, the two intrepid pilots shared a few on- road stories with the guests attending the CMC Truck & Bus event. From runins with the military in Mozambique, to dodging potholes on crumbling roads, to close shaves with oncoming trucks and prolonged bordercrossing delays, Manser and Chari highlighted the perils of longhaul trucking in Africa. Despite these challenges, “the ONE MAN kann Journey is helping to build awareness across sub-equatorial Africa and beyond of not only the vital role trucks play in the lives of the region’s people but also, via the delivery of mosquito nets and anti-malaria prophylactics, that partnerships between organisations like MAN and Roll Back Malaria can tangibly uplift the lives of Africans in need,” concluded Ferreira.